We are without question, the most dedicated and focused business broker who have an unrivalled and in depth knowledge of the Fish and Chip shop sector. Andrew Shenga has big ambitions for his new business. The 26-year-old has recently splashed out Â£126,000 on a former Chinese takeaway in Bolton. 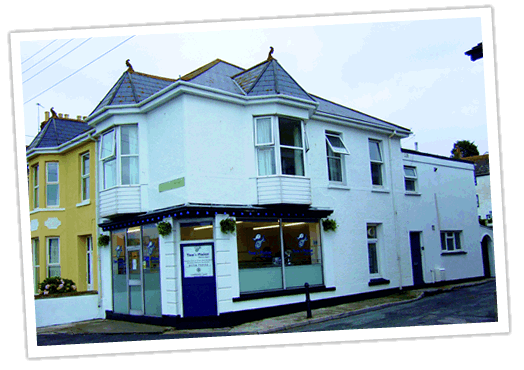 After completely transforming the premises, the business is now a traditional fish and chip shop called Andyâ€™s. 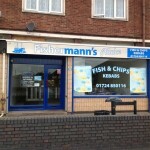 Click here to find out how Fish Friers can help sell your business. Fish Friers We are without question, the most dedicated and focused business broker who have an unrivalled and in depth knowledge of the Fish and Chip shop sector. http://fishfriers.co.uk/ 7B Edward VII Quay Navigation Way Ashton-On-Ribble Preston Lancashire PR2 2YF Fish Friers 5 based on 3 reviews Fish Friers 4.7 Mr. P. Hughes, Vendor Peterâ€™s Fish Inn Due to the successfully quick sale of my business several years ago, I had no hesitation in choosing fishfriers to complete the sale of my second business. I received a healthy amount of interest through your great advertising techniques. The hard work and effort your firm has put into selling my business has made it possible for a sale to go through in only 6 months after being brought before you. I would like to take this opportunity to thank you for making this a quick and easy process. You have been extremely helpful and given your attention when it was needed most. I would most definitely recommend Kings Business Transfer to anyone selling a business. Fish Friers 4.9 Mrs. Elaine Irwin, Vendor Poplar Fish Bar We have a good relationship, the staff at fishfriers respond in a positive manner and deal with any situation. They keep me well informed of everything that is happening with my sales and any contact with prospective purchasers are reported to myself straight away. Fish Friers 5.0 Andrew Shenga, Andrews Fish Bar Andrew Shenga has big ambitions for his new business. The 26-year-old has recently splashed out Â£126,000 on a former Chinese takeaway in Bolton. 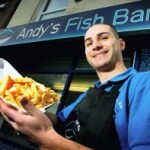 After completely transforming the premises, the business is now a traditional fish and chip shop called Andyâ€™s Fish Bar. Andy, whose family has always been in the fish and chip shop industry, says if you know what you are doing there is "money to be made".